The phenomenon of Alpine glaciers had fascinated naturalists for hundreds of years, but it was not until the mid-eighteenth century and the pioneering work of Scheuchzer that there was any real scientific research on them. Part of the problem was the occasional presence of huge boulders of rock (called 'erratics') scattered over northern Europe and northern North America. Often they were demonstrably different in composition from the underlying rocks where they were found. What mechanism could possibly transport such massive 'alien' rocks and then dump them unceremoniously on the landscape, often many miles from the nearest mountain? In and around the Alps there was the possibility that they had been carried by glaciers, since it was an observable fact that glacial ice could indeed support and carry very large rock masses over considerable distances given time. A Swiss pastor, Bernhard Kuhn, first suggested in 1787 that such boulders were evidence that glaciers might have in the past extended far beyond their present extent. However, Buckland and his theologically minded colleagues had a ready explanation for the 'erratics' - the Flood. Just to complicate matters, evidence was emerging from polar exploration demonstrating the power of sea ice and icebergs to transport rocks far from their original source by flotation. a scene of dizzying wonder ... the vale itself is filled with a mass of undulating ice ... we walked to some distance upon its surface - the waves are elevated about 12 or 1$ feet from the surface of the mass which is intersected with long gaps of unfathomable depth, the ice of whose sides is more beautifully azure than the sky. In these regions everything changes & is in motion - one would think that Mont Blanc was a living being & that the frozen blood forever circulated thro' his stony veins. Mary Shelley used this new-found information about the icy wastes to great dramatic effect in her novel Frankenstein, published in 1819 when she was just 22 years old. Perhaps Buckland's Flood could be modified by drowning landscapes with marine waters charged with icebergs that dumped their load of boulders wherever they melted? The retreating waters then exposed the stranded erratics. The idea, promoted by Charles Lyell in the 1830s, became known as the 'Drift theory', with the deposits simply referred to as 'drift'. The discovery of modern-looking seashells stranded high on Welsh and Scottish hills seemed to support this version of events. There was a lot of often heated argument in London's newly founded Geological Society on such matters. With immediate access to living glaciers and the opportunity to study both their erosional and depositional powers, Swiss geologists had a significant advantage in assessing the reality of the matter. Louis Agassiz's illustrations of glacial phenomena such as moraines and erratic boulders (here on the Aar glacier) eventually persuaded British geologists of the reality of the Ice Ages. of Switzerland based on the distribution of 'erratic' boulders. 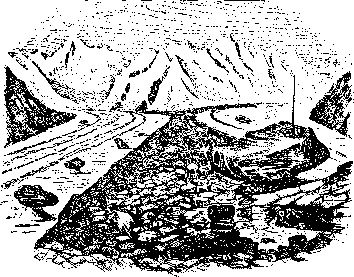 Charpentier had proved that most of the rocks had not been transported by flood waters or floating icebergs and that the commonly found scratched and grooved rock surfaces in Alpine terrains were the result of glacial ice charged with rock debris. By 1824 Jens Esmark was describing evidence of formerly extensive glaciers in Norway, and in 1832 Reinhard Bernhardi argued that a polar ice cap had once spread as far south as central Germany. The study of glaciers and theorising about their former extent and influence on the landscape were becoming popular. While English geologists were still arguing the toss about the merits of the ice-raft Drift theory, the greater explanatory power of the glacial theory was common knowledge in Switzerland. Jean de Charpentier, 1786-1855, son of German geologist Wilhelm von Charpentier, student of Werner's. Jean described (1823) the geology of the Pyrenees, became a director of saltworks and pioneered the mapping of the former extent of Alpine glaciers using the distribution of the so-called erratic boulders (often simply referred to as 'erratics'). Charpentier recounted that in 1834 he met a woodcutter who recognised an erratic boulder and that 'the Grimsel glacier transported them and deposited them on both sides of the valley, because that glacier extended in the past as far as the town of Bern, indeed water could not have deposited them at such an elevation above the valley bottom, without filling the lakes'. Charpentier encouraged the young Swiss naturalist Louis Agassiz to pursue and emphasise his studies of glaciers over those of fossil fish. Not that Agassiz needed much pushing: he steamrollered ahead on his own accord promoting his own ideas and often neglected to acknowledge the role of other scientists such as Charpentier and the German botanist Karl Schimper in developing them. 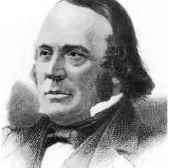 (Jean) Louis Rodolphe Agassiz, 1807-73, Swiss born, published pioneering research on fossil fish (1833-44) and developed Schimper's idea of a recent Ice Age (Etudes sur les Glaciers, 1840). Emigrating to America in 1846, he became professor of zoology and geology at Harvard in 1847 and was a vehement opponent of Darwin's theory of evolution. Karl Friedrich Schimper, 1803-67, German botanist who presented many of his ideas as poems and never secured an academic post. He was one of the pioneers of modern plant morphology and from his studies of fossil plants developed a theory of alternating hot and cold climates in the past. Ice of the Past! Of an Age when frost In its stern clasp held the lands of the South, Dressed with its mantle of desolate white Mountains and forests, fair valleys and lakes! By 1837 Agassiz had formulated his theory of a relatively recent Eiszeit (borrowing the term from Schimper) in which he claimed that a marked fall of temperature had happened before the upheaval of the Alps. He developed his ideas into a book, Etudes sur les glaciers (published privately in 1840). His reconstruction imagined that following the accumulation of the Earth's ancient geological formations, repeated falls in temperature produced an enormous ice sheet that extended over the greater part of Europe and across the Mediterranean as far south as the Atlas mountains, over northern Asia and northern North America. Only the highest peaks rose above the blanket of ice. Then upheaval of the Alps caused rocks to break from mountainsides and onto the ice, to be carried away by the glaciers. There were many things that Agassiz did not explain, such as why the temperature had fallen and what had uplifted the Alps. But he was an excellent self-publicist and his ideas were soon being broadcast all over Europe and in Britain, where they attracted the attention of eminent geologists such as Buckland and Charles Lyell. Muschelkalk (New Red Sandstone) . Granite when he was researching fossil fish. Now Agassiz tried to convince the stubborn Diluvialist of the error of his ways by showing him the abundant and clear evidence for glaciation in the Alps. But Buckland was not to be swayed so easily. However, Agassiz found a better opportunity to address his theory to a larger audience of British geologists in September 1840. He travelled all the way to Glasgow to attend the annual meeting of the British Association for the Advancement of Science. There he lectured on his glacial theory and emphasized once again that 'at a certain epoch all of the north of Europe and also the north of Asia and America were covered by a mass of ice'. Needless to say, it did not go down too well and Lyell led the attack on Agassiz. However Buckland, unusually for him, remained silent, perhaps because he had been mulling over the evidence that Agassiz had shown him in the Alps. 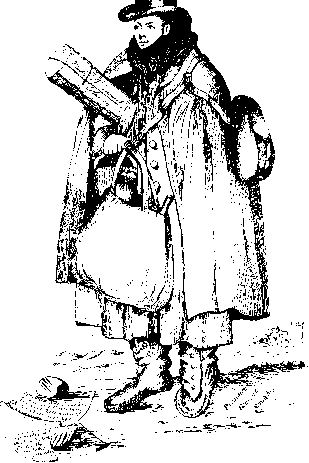 Anyway, Buckland invited Agassiz and another rising star of the British geological firmament, Roderick Impey Murchison, to make a joint expedition to study the British field evidence of drift in Scotland and the north of England. 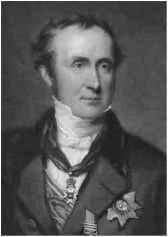 Sir Roderick Impey Murchison, 1792-1871, Scottish-born army officer (1807-15) in the Peninsular War, who on retirement married Charlotte, daughter of General Hugonin, and took up geology. He went on to define the Silurian and Permian Systems and the Devonian with Sedgwick. President of the Geological Society of London (1831, 1841), co-founder of the Royal Geographical Society, he was knighted in 1846 and created baronet in 1866. Lyell has adopted your theory in totolll On my showing him a beautiful cluster of moraines within two miles of his father's house [at Kinnorchy? ], he instantly accepted it, as solving a host of difficulties which have all his life embarrassed him. The following month (November), Lyell, Buckland and Agassiz all presented papers on the evidence for glaciers in Britain at the Geological Society in London. Murchison protested at the way Buckland viewed all Diluvium as glacial moraine and if so did that mean that London's 'Highgate hill will be regarded as the seat of a glacier, & Hyde Park & Belgrave Sqre will be the scene of its influences?' But the glacialists responded well with authoritative 'chapter and verse', with Buckland allowing for the additional action of drift and floating ice as well as glaciers. Buckland's volte face did not go unnoticed by the London press. A cartoon appeared showing the Oxford professor complete with his characteristic geological field clothing topped off with academical robe standing on a deeply grooved rock surface. Two specimens lay at his feet, one labelled 'Scratched by a glacier thirty-three thousand three hundred and thirty-three years before creation' and the other 'scratched by a cart wheel on Waterloo Bridge the day before yesterday'. A cartoon ('scratched' by Sopwith) lampooning a 'glacially regaled' Buckland for his volte face on the glacial question. At his feet are rocks labelled 'scratched by a glacier 33,333 years before Creation' and 'scratched by a cart wheel on Waterloo Bridge the day before yesterday'. glaciers and voiced the opinion that glaciers had once filled the Alpine valleys, leaving erratic boulders when they melted away. Importantly, Charpentier argued (correctly as it turned out) that the maximum advance of the ice occurred after the uplift of the Alps. Furthermore, he thought that normal river valleys had been eroded before the glaciers developed and exploited pre-existing valleys (again a correct interpretation). Encouraged by Lyell, Agassiz took the opportunity to visit North America and Lyell waved him goodbye from Liverpool in September 1846. Docking briefly at Halifax, Nova Scotia, and eager to find evidence of glaciation in North America for himself, Agassiz sprang on shore, and started at a brisk pace for the heights above the landing ... I was met by the familiar signs, the polished surfaces, the furrows and scratches, the line engravings of the glacier ... and I became convinced ... that here also this great agent had been at work. The following year a professorship was created for Agassiz at Harvard and he was to remain in America until his death in 1873. American geologists had already accepted his theory, but Agassiz was as over-enthusiastic as ever. Lyell reported that as a result of an expedition to South America in 1865 Agassiz 'has gone wild about glaciers ... the whole of the great [Amazon] valley, down to its mouth was filled by ice' and yet 'he does not pretend to have met with a single glaciated pebble or polished rock'. Agassiz had indeed let his imagination run away with him. Luckily for the development of the Ice Age theory, enough steadier hands had become convinced by the real evidence and the Flood theory was finally 'dead in the water', at least in scientific circles. Now we can begin to understand what animals normally associated with Africa were doing in central London. The ancient river sediments that contain their bones reveal an astonishing history of rapid climate change throughout the Ice Age or Pleistocene times, as it is scientifically known (see later discussion). There were 'good' times when the climate was warm. Landscapes were lush enough for hippos to wallow in the rivers, while elephant, rhino, hyaenas, big cats and the occasional small band of our ancient human relatives, such as the heidelbergensis, Neanderthal and Cro-Magnon sapiens people, roamed through woods and valleys, over hills and dales. But there were also 'bad' times when catastrophic swings in climate brought glaciers and ice sheets down from the north. The ice sheets breached the northern flank of the Thames Valley and was not far from overwhelming the whole country. With subzero temperatures all life that could leave did so; the rest dwindled and died out over just a few generations. The testimony of the Thames terrace gravels shows that such disastrous swings in the mood of the climate happened not just once or twice but many times. Indeed, the valley has one of the best records of climate change throughout the middle and late part of the Pleistocene Ice Ages to be found in Europe. The story has important lessons for the future. Today a visitor to London may be forgiven for wondering how ancient names like Tower Hill and Parliament Hill came into being, since there are no significant topographic prominences to be seen. Nevertheless, these 'hills' do rise above the river and any elevation above flood level has value for those that live beside a river. The Thames is today very small by global standards, but not so very long ago it was, along with the Rhine, one of the major rivers of Europe. And it does not take much flood water to threaten life and habitation. Not until the banks of the Thames were reinforced and its channel better secured was the risk of flooding in the city diminished. Outside the city and the marshes that originally surrounded it, the flanks of the river valley rise in a series of low-stepped terraces onto the chalk downlands that form the rim of the Thames Basin. The terrace surfaces have well-drained sandy soils with heathlands such as at Hampstead in the north and Dulwich in the south. From the mid-nineteenth century onwards these sands and gravels were increasingly exploited for building purposes and it was discovered that in places they were very extensive - all the way up river to Oxford and beyond in the west and to the old Roman fort of Colchester in the northeast. To the geologists of the day these were regarded variously as 'drift', valley gravels or glacial gravel deposits and were generally considered to be marine rather than genuine river deposits. 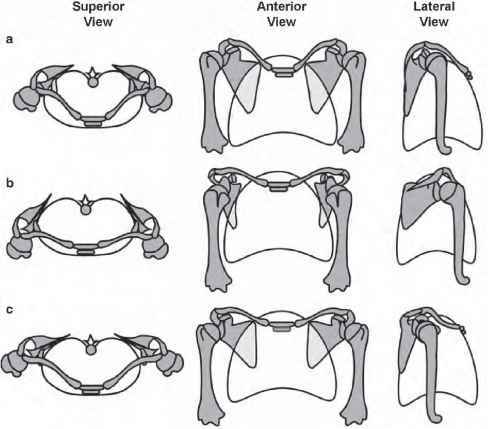 And yet the bones of land-living animals such as elephant, deer and even rhino were occasionally found within them. Now we realise that the sands and gravels are river deposits of a vastly larger Thames and tributaries that received huge volumes of melt water and sediment during the Pleistocene Ice Ages. The headwaters of the Thames may have even drained parts of North Wales. The original downriver outflow was further north than it is today and ran through Norfolk to the North Sea. There it joined the even bigger Rhine. Sea levels were at times much lower than today, as much as 120 m lower, and Britain was just an extension of the European continent with much of the North Sea being dry land. Animals and people were free to migrate to and fro. 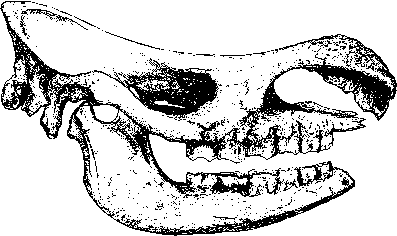 Remarkable fossils of large mammals such as this skull of an extinct rhinoceros were found within the Ice Age deposits of the Thames Valley in the 19th century. about changing sea levels, because the record shows that they constantly change both globally and regionally from different causes and there is nothing very much we can do about it except get out of the way. The lower course of the Thames was pushed south around 400,000 years ago by ice sheets during the Anglian cold phase, which produced one of the most extensive of the glaciations. The ice front reached what is north London today -Watford, Finchley and Hornchurch. Ice-dammed lakes ponded up as the ice melted and retreated, with their meltwaters feeding an engorged river. A hugely bigger lake filled up in the southern part of the North Sea with water from the Thames and Rhine, until it eventually spilled over and flooded out southwards through what are the Straits of Dover today. Over nine different terrace levels have been recognised throughout the Thames Valley. Higher terraces in the upper reaches are thought to have been formed under intensely cold or even glacial conditions and low sea levels. So it is not surprising that most of the deposits do not contain many plant or animal remains. But the terraces of the lower reaches are thought to have been formed in response to rising sea levels during interglacial warmer climates when there was abundant life around. Luckily, some of these interglacial deposits and their fossils have been found in the Thames Valley. Plant pollen, preserved in the clays and silts, is used to match deposits of similar age, place them in a relative time sequence and tell us what the vegetation was like. Overall, British land-based Pleistocene history has been subdivided into nine alternating climate phases, from a first cold Baventian glacial stage (around 1.6 million years ago) up to the last Devensian cold phase (between 110,000 and 10,000 years ago), followed by the present warm Holocene post- or interglacial (Flandrian) phase of the last 10,000 years.